TORONTO, ON – While non-alcoholic beers make up a small portion of the overall beer market, there are a number of people who are unable to drink alcohol for a variety of reasons, but who still enjoy the flavour of a good quality beer. Now, thanks for the efforts of one person in that situation, many others will have access to a wider variety of non-alcoholic beer options than they might have had otherwise. Diagnosed several years ago with Crohn’s Disease, Toronto’s Ted Fleming had to cut alcohol from his diet, but found himself frustrated by the poor selection of alcohol-free beers in most grocery stores and food shops. So he began researching where he could source non-alcoholic beers from around the world, and has now launched Premium Near Beer, an online shop offering an international selection of booze-free brews. 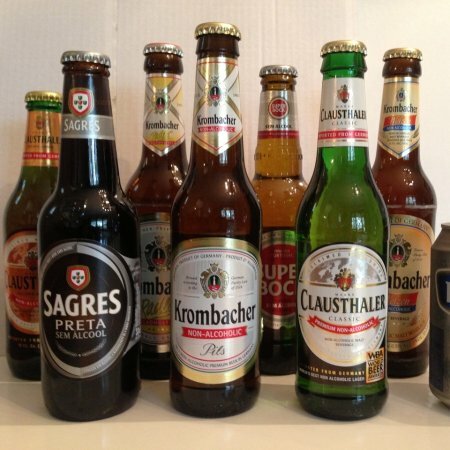 The shop currently offers 14 brands of beer with alcohol levels of 0.5% or lower, with selections including award winners Clausthaler Premium and Brew Dog Nanny State, along with alcohol-free versions of such well known brands as Krombacher, Sagres and Weihenstephan. More brands are planned to be added in coming months. Delivery is by the case – including a mixed pack featuring all of the available brands – and is currently limited to the Greater Toronto Area, with a Canada-wide rollout planned for 2014. For more details, see the Premium Near Beer website, Facebook page or Twitter feed.